Rumours of a Galaxy S5 Prime are circulating, but so too are rumours of a similar ‘Prime’ version of the HTC 2014 flagship, the HTC One M8. The M8 Prime rumour has heated up over the last couple of days thanks to a tweet from Senior Global Online Communications Manager at HTC Corp, John Gordon or as he’s known on Twitter @urbanstrata.
.@urbanstrata P.P.S. M8 Prime brings HTC on par with Samsung and Sony: a waterproof flagship.
.@urbanstrata P.P.P.S. M8 Prime is addicted to speed: first HTC handset with a planned Cat. 6 LTE radio.
.@urbanstrata P.P.P.P.S. As expected, the Prime in M8 Prime refers to the components: Snapdragon 810 (4 x 2.5GHz), 5.5" WQHD, 3GB RAM. That’s a lot of information, but Evan wasn’t done just yet. He then went ahead and showed off a render of the M8 Prime in an almost black version of the familiar brushed metal HTC One M8 we all know and love, but with a difference. The main camera sensor is raised quite a bit above the chasis. What the raised camera actually means is anyones guess, but if it contains an improved sensor from the what I found to be unimpressive 4MP UltraPixel sensor from the M8, this phone could be the one that we all hoped the M8 could be. So, with a 2.5GHz Quad-Core Snapdragon 805 processor, 5.5″ WQHD screen and 3GB RAM, the HTC M8 Prime ticks the boxes, but add a Cat 6 LTE radio and it’s going to be a speed demon. The Waterproofing aspect is definitely interesting and seemingly corroborated by the seemingly plastic/rubber ring around the raised camera lens. But, the most interesting – to me – point was the ‘composite of aluminum and liquid silicone’ material that would make up the body. That just sounds Cool! But when we’ll actually see the phone is anyones guess. What do you think? Do you like those specs? 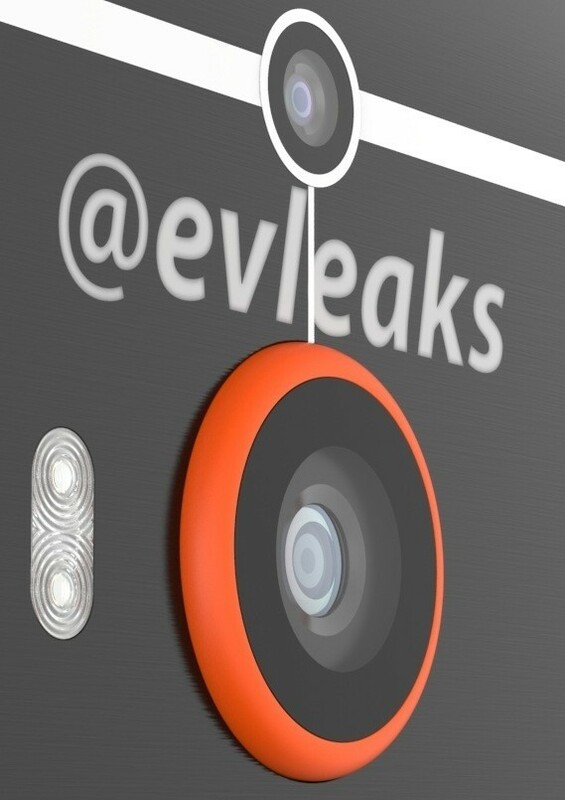 Source: EvLeaks, 1, 2, 3, and 4.